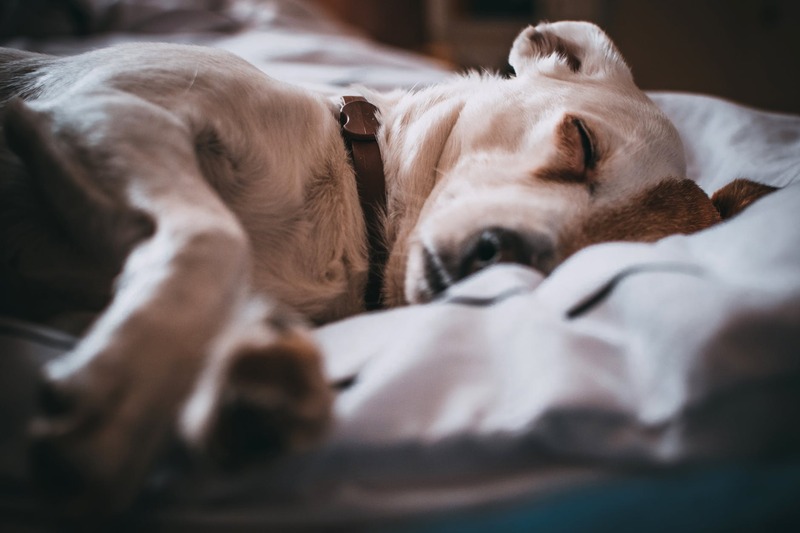 Shelter Dogs Helped by Sleepovers: New Study – FIREPAW, Inc.
Those working in the animal rescue and foster care arenas may want to shift some of their helping efforts to organizing doggy sleepovers. Researchers in a new multi-state study have found short-term fostering benefited shelter dogs. The study examined short-term foster care in Arizona, Utah, Texas, Montana and Georgia; the results revealed that stress hormone levels were reduced during one- and two-night sleepovers. The shelter dogs also rested more during and immediately following a sleepover. Of the estimated more than 4 million dogs that end up in animal shelters each year, about half a million are euthanized. To increase the number of shelter dogs that are adopted, Arizona State University’s Canine Science Collaboratory studies what happens in animal shelters and how it affects dogs. The idea to study sleepovers came after a trip to Best Friends Animal Sanctuary in Utah. The sanctuary has a long-standing sleepover program in which volunteers take dogs home overnight. The research team decided to test if such short-term foster care experiences were beneficial to shelter dogs. The team tracked the dogs’ stress by measuring the stress hormone cortisol before, during and after sleepovers. Even though the five participating shelters were very different — some care for 600 dogs a year and others more than 6,000 — the cortisol levels for all the dogs decreased during a sleepover. When the dogs returned to the shelter, their cortisol levels were the same as before. Additionally, researchers measured the resting levels of the shelter dogs: The research team outfitted dogs from the shelters in Arizona, Montana, Georgia and Texas with an activity-tracking collar. This study assessed the impacts of one- and two-night fostering programs on the urinary cortisol levels, resting pulse rates, longest bout of uninterrupted rest, and proportion of time spent resting of dogs awaiting adoption. Five animal shelters, open and limited-admission facilities, from across the United States participated in the study. During the study, dogs’ urine was collected in the morning before, during, and after fostering stays for cortisol: creatinine analysis. Non-invasive health monitors were worn by the dogs, which collected heart rates and activity levels, in the shelter and in foster homes. In total, 207 dogs participated in the study, and 1,076 cortisol values were used in our analysis. Sleepovers reduced dogs’ cortisol levels and increased their time at rest. Researchers found that the sleepovers were like a weekend away from work: they provided a short break from the stress of living in a shelter. Dogs who live in homes sleep approximately 14 hours each day, while dogs in shelters only sleep just under 11 hours each day. The longest rest period was during the sleepover, but even after returning to the shelter, the dogs rested longer than before. The study authors found that in addition to sleepovers, shelter-specific, environmental factors could be contributing to the overall welfare of shelter dogs. Significant differences were found when comparing in-shelter cortisol values at the five shelters…differences that were in some cases greater than the impact of the fostering intervention itself. These findings suggest that mitigating the stressors present in kenneling conditions should also be addressed to improve the lives of shelter dogs. Based on the study results researchers recommend that shelters that do not currently have short-term foster programs should give sleepovers a try. Potential adopters often use information from foster volunteers when making decisions about whether to bring a dog home. The Canine Science Collaboratory is also studying how to keep dogs out of shelters and to transform the experience once they are there. The team is currently studying other programs that allow dogs out of shelters, like field trips and long-term foster care. With a grant from Maddie’s Fund, they are enrolling 100 animal shelters across the country in a study to understand how foster care impacts the dogs in shelters, organizations that implement foster programs and the staff and volunteers who make them possible.